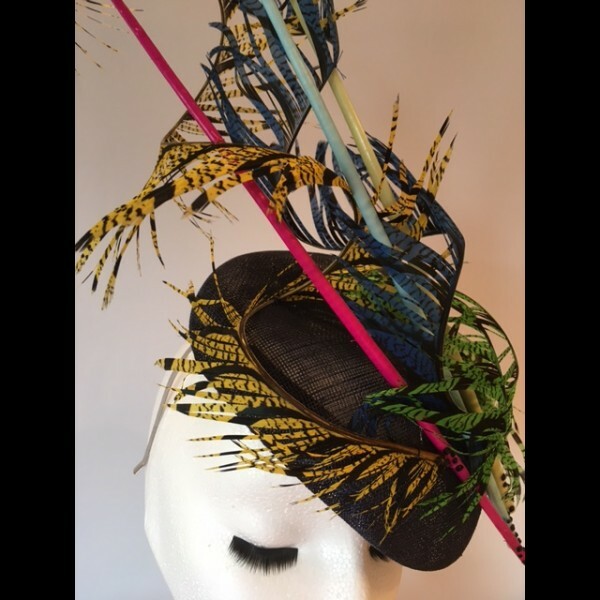 Technicolour has come to town ! 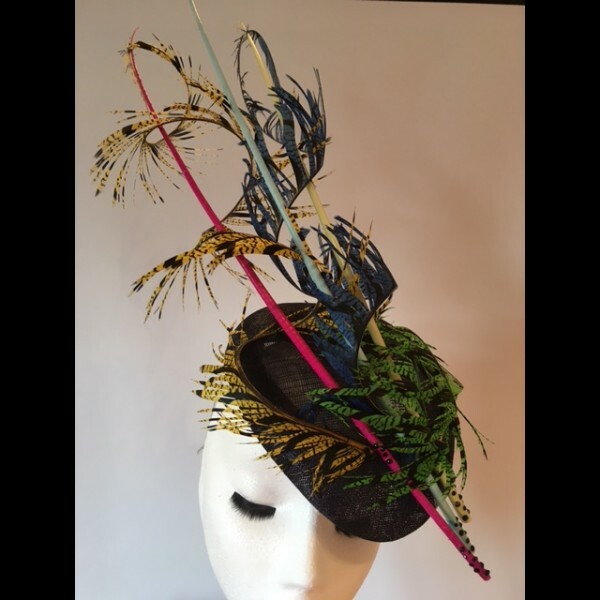 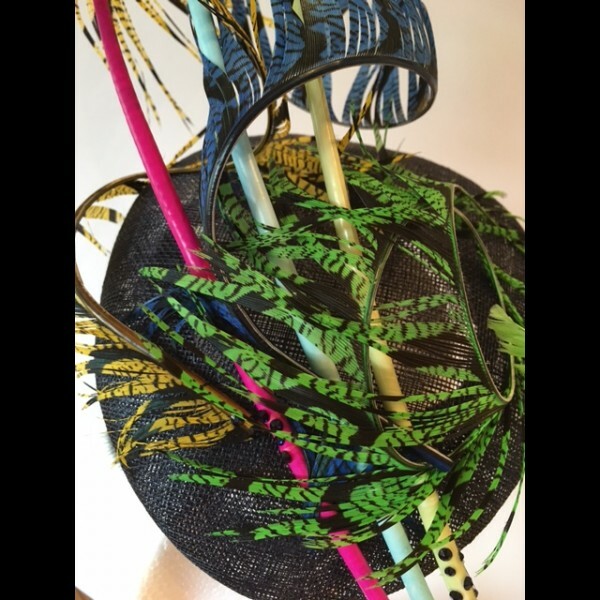 A dark navy sinamay cap base with elegant ostrich quills and hand curled pheasant feathers in multi-coloured hues. The cap is on a slim silver coloured hairband with a small comb for security. 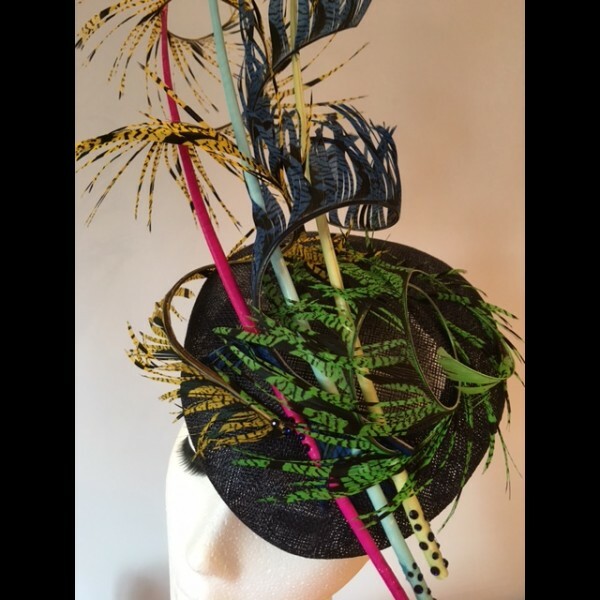 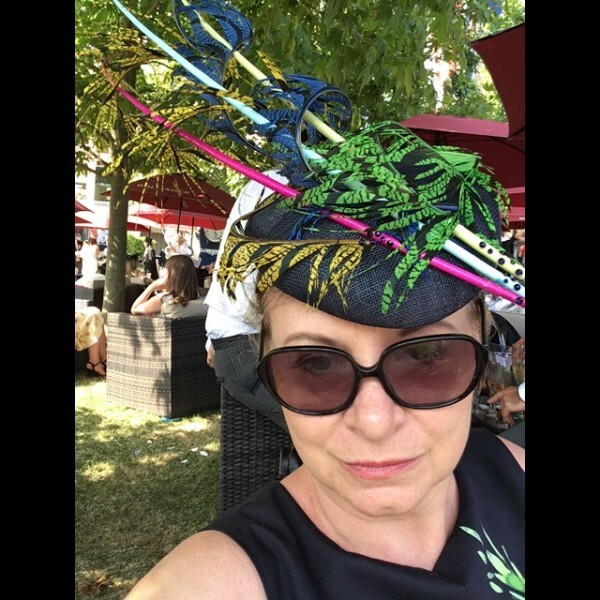 The inspiration for this headpiece was the 'Molly' Dress from Hobbs - shown in the pictures but not available from this website.